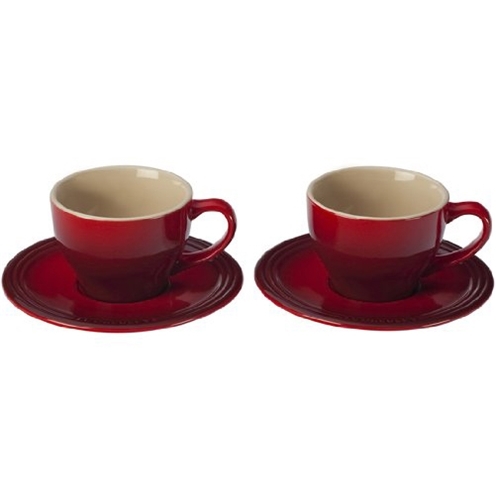 The stoneware cappuccino set, with its two cups and two saucers, is perfect for sharing an afternoon pick-me-up with a friend. High-quality exterior enamel protects against metal marks and other damage. Dishwasher safe.